Government agencies are one of the most targeted groups for cyber hackers and have experienced some of the most devastating internal breaches to date. Their business spans employees, consultants, contractors, and sub contractors making it difficult to secure data through traditional methods. Many agencies have mandates and objectives that establish internal information security standards to guard their data in addition to federal regulations. Data is constantly exposed to breach and must be protected. 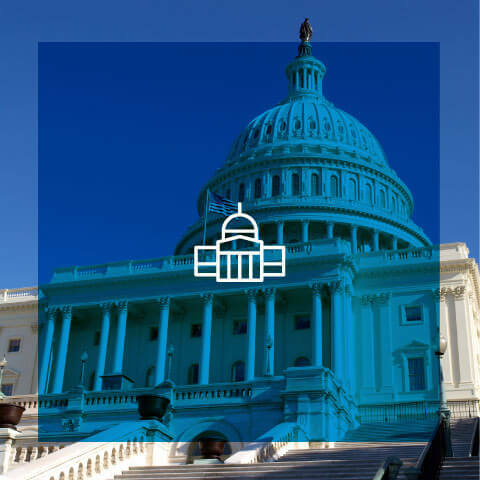 NextLabs Dynamic Authorization technology and policy-driven platform provide protection for several government agencies. The US government has been at the forefront of adopting attribute based access control as a means to enhance data security and strengthen access controls. The solution has been adopted to ensure that trade secrets, patents, copyrights, IP, and classified records do not fall into the wrong hands. Access to these protected documents is not permitted unless all of the relevant attributes about the user, the data and the environment correspond with the authorization policy. Ensure compliance with a wide range of regulatory requirements by automatically enforcing policies. Consistently enforce policies across systems, repositories and applications so no matter where data resides, it is always protected. Centrally monitor data access and usage to determine if policies are adequate to comply with internal policies. Identify and protect sensitive data, and monitor and control threats to ensure compliance with Cross-Agency Priority Goals, the NIST Cybersecurity Framework, JIE and other federal mandates. Insider abuse can be as damaging if not more so than external breaches. NextLabs provides an additional layer of protection by utilizing fine-grained access controls to ensure that only authorized users gain access to critical information. Attributes about the user, data and environment are considered before authorization is granted. If all attributes do not correspond, access is denied. As cybersecurity threats have proliferated and computer technology has advanced, compliance requirements have become increasingly complex. The government mandates that encryption, compliance regulations such as FISMA, NIST 800-53, and Federal Information Processing Standards, as well as Common Criteria need to be part of any data-centric security solution. And, as data moves to the cloud, government agencies need to comply with regulations such as FedRAMP. Regardless of the specific regulation, NextLabs solutions provide the ability to comply by implementing policies to automatically enforce specific access rules. Audit logs and reports allow agencies to track compliance and prevent violations. Government agencies have a daunting task – increase security for their critical assets while working with decreasing IT budgets. NextLabs attribute-based policy platform provides the federal government a unified solution for data protection which protects data across the entire organization and when shared with other organizations. Centralized policy management enables agencies to streamline processes and enforcement with more robust protection. Data is protected whether it resides in the application or is being shared by the same set of centralized attribute-based policies – facilitating updates and additions. The complexity of managing the data and costs associated with administration are greatly reduced. Learn how NextLabs controls technical data to meet export compliance requirements. Automate compliance with export regulations such as US ITAR, EAR, German BAFA and UK Export Control Act. Read how NextLabs helped BAE Systems improve its business productivity by accelerating collaboration.